Newton mail is going away as the company has announced its last date. This subscription based email service will not be available after September 25, 2018. If you are an existing Newton mail user, you need to look for something else. Newton mail was really a good email service but it messed around its pricing a lot. So, many users have already migrated away. Few users were still paying it because of its high quality service. If you were one of those paying customers looking for better option, you can look at these newton mail alternates. BlueMail is my pick as best alternate to Newton mail. You can setup any of email accounts easily as it offers auto configuration for most of the email service providers including IMAP and POP3 + Exchange. It automatically categorizes your emails into different categories and the company calls this feature clusters. It works well. It offers beautiful dark theme that look good. Bluemail offers unified inbox where you can easily access and manage your emails. It also has integrated calendar and more features. You can also add your own logo or text below your emails as signature. It is available on multiple platforms including Android, iOS, Windows and Mac. Desktop apps are still in beta but work fine. So, you can access your emails from any of the supported platforms. Gmail is the most obvious choice as it is one of the biggest email provider. If you use an Android phone, you already have this app in your phone. Recently, Google also released huge update to its Gmail apps with lots of new visual changes and features. It also offers offline mode, you can access your emails even if there is no active internet connection. It also groups your emails in proper categories. The best thing about Gmail app is its SPAM protection, that ensures SPAM emails are not reaching to you. There is also a new “Confidential Mode” which allows users to send self-destructing emails. If you are already using Gmail, you know about its features already. You can also configure your custom emails on Gmail app to use all those features that you enjoy with your Google email address. Microsoft also offers its mail app that is available on major platforms. So, it can also be one of the best alternates of Newton mail. Not just apps for Android and iOS devices but you can also find its native apps for Windows and macOS. So, Microsoft Outlook will feel like your old Newton mail. It is feature such and comes with Office 365 integration. It offers features like quick reply, draft folder sync, office lens technology, calendar integration, bill pay reminders and more. It also features convenient swiping gestures on mobile apps. TypeApp is another notable email client available for both desktop and mobile devices. Desktop app are still in beta but works fine. It offers several notable features like email grouping using Automatic Clusters, push mail, unified inbox, universal accss, reminders, and filters. It also supports Android wear platform. You can several options to customise the look and feel as per your interest. It also offers a corporate edition for companies who want to manage their official email address. In that, it also offers priority support remote lock screen management and more features. Edison Mail is also a good cross platform email client available for Android and iOS both. It comes with built-in assistant which can do many things for you. It is fast loading email client offering features such as smart categories, custom swipe control, smart notification, fast search and more. The only issue is the lack of any desktop of web app. Spark is also a similar kind cross platform email app. If is also one of the best email client move from Newton mail. It offers Smart Inbox, Smart search, Snooze emails, Send later, reminder to follow up, email signatures, smart notifications, integrations, attachments like features. It also allows you to personalize the look and feel. You also have swipe gestures to quickly go through my emails. It can also intelligently categories emails into different categories. Its smart search feature really impresses. If you are looking to manage your business email for your team, you can also go with Spark for teams. 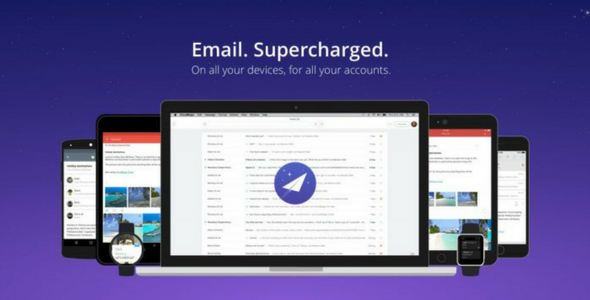 PostBox is another excellent email client for power users. It offers lots of features that you will surely love. You can control over what features do you want to use. So, you can turn off all those that you do not want. It offers ability to manage your emails properly. You can organize emails using tags, filter or search emails. You can even send large files over emails using Dropbox, Box, and OneDrive integration. It comes with integration of hundreds of apps such as Trello, Slack, Evernote, Asana, and IFTTT, and many more. Now you have a list of some best cross platform email clients. If you have been using Newton mail, you can switch to any of these emails clients to manage your emails at one place. If you know any other good email client that can be as Newton mail alternatives, you can let me know in the comments.